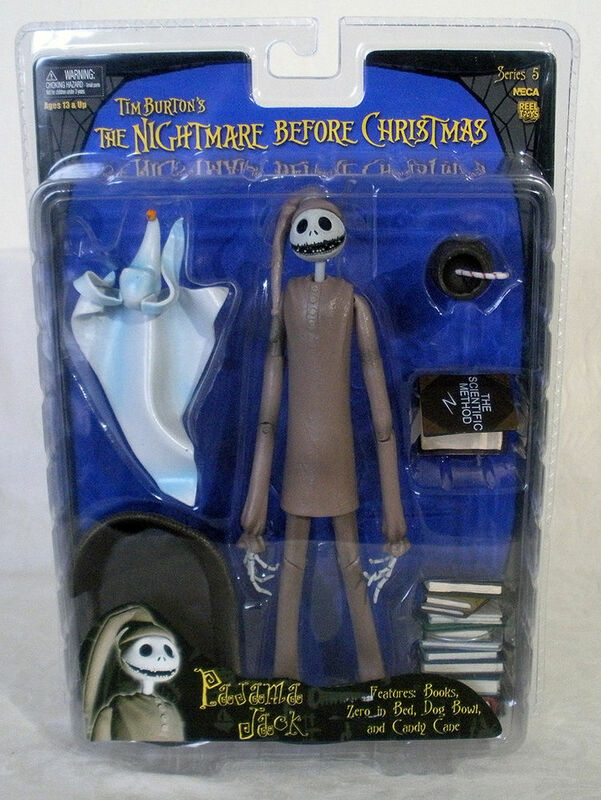 Between 2004 to 2007 Neca released a total of 6 series' of A Nightmare Before Christmas figures with four figures to each series. 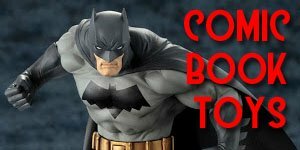 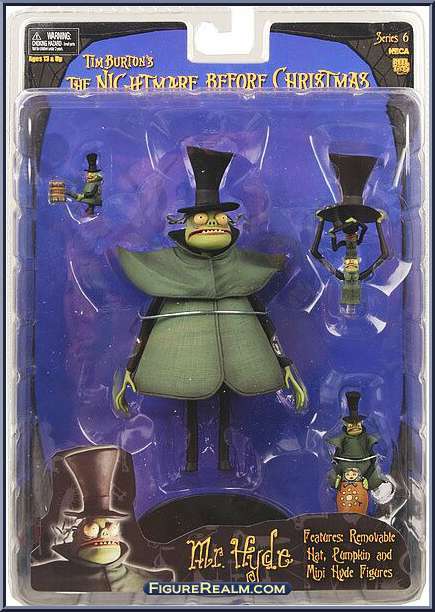 Two exclusive figures were also offered at San Diego Comic Con. 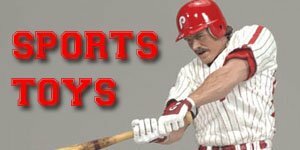 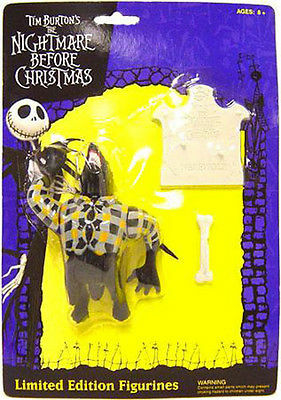 The first, Pirate Jack, was offered in 2006. 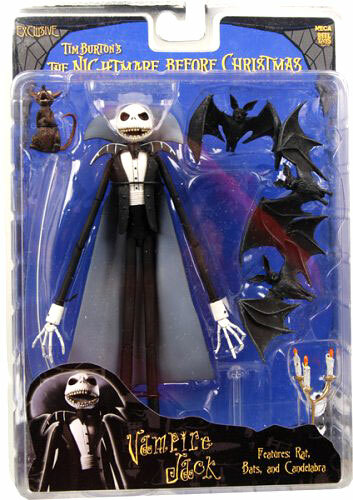 The second, Vampire Jack, was offered in 2007. 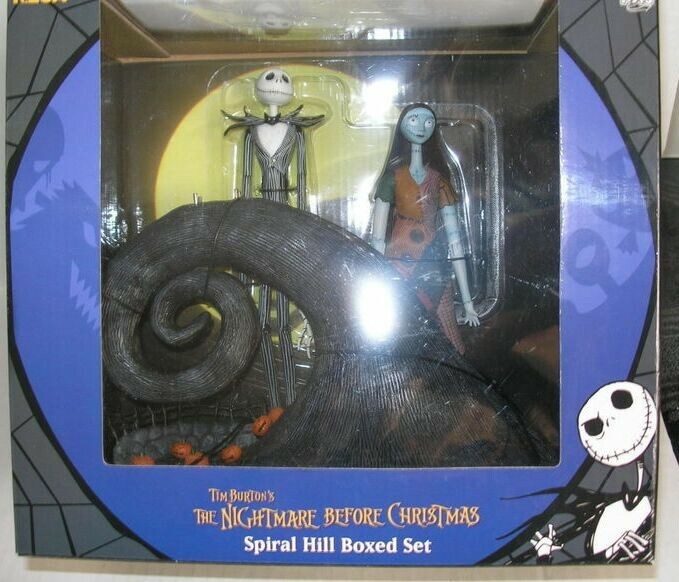 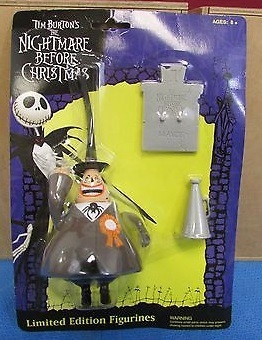 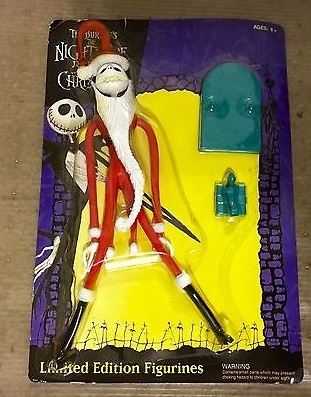 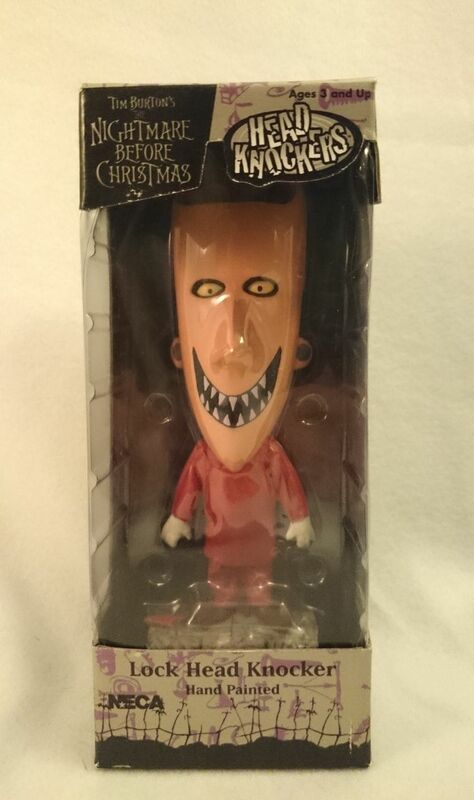 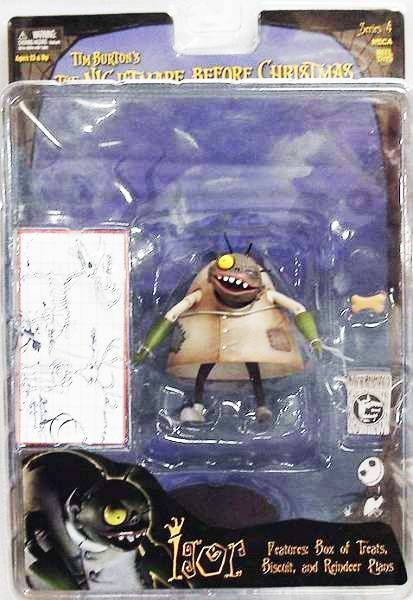 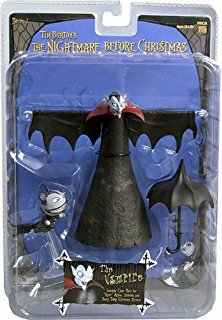 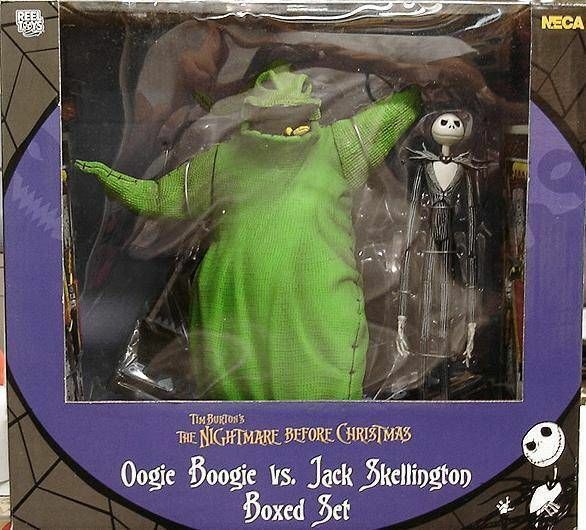 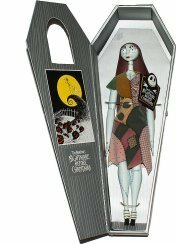 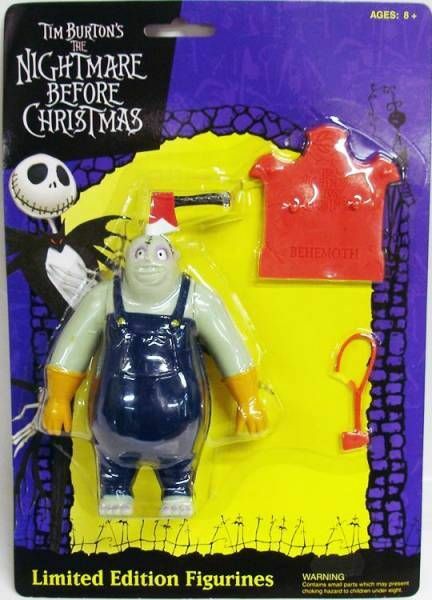 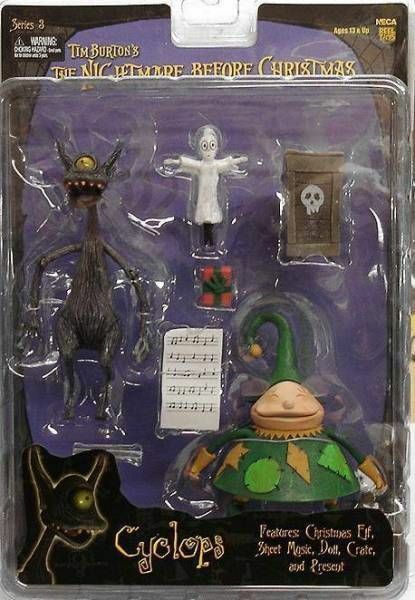 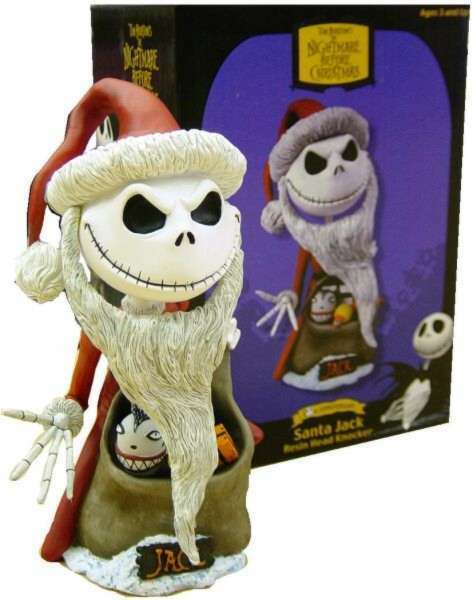 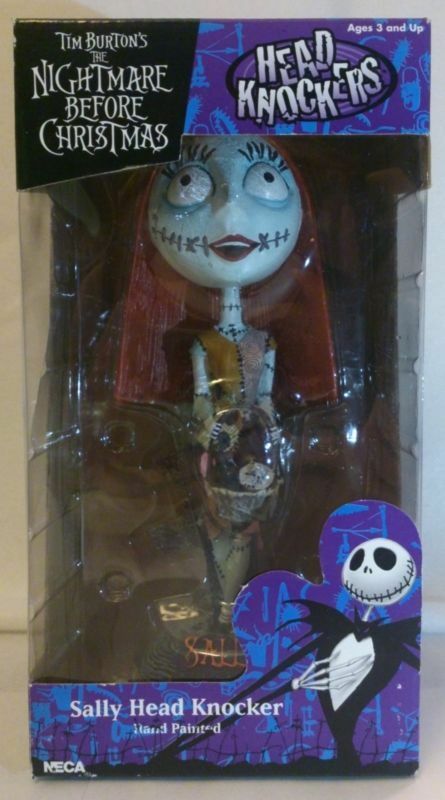 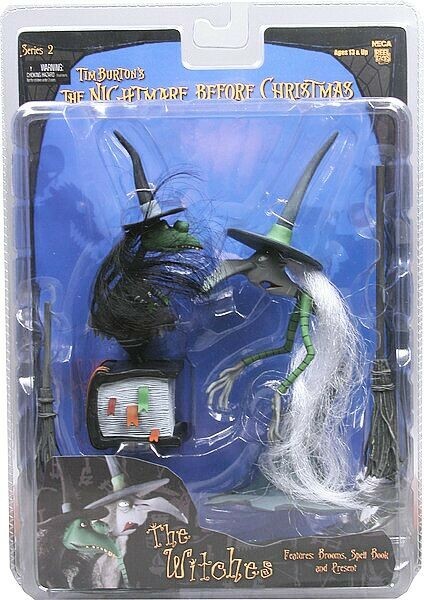 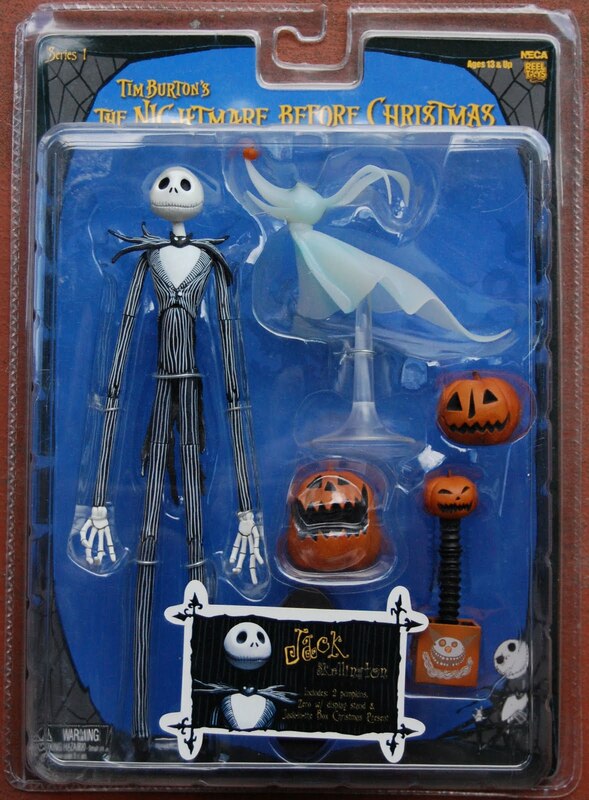 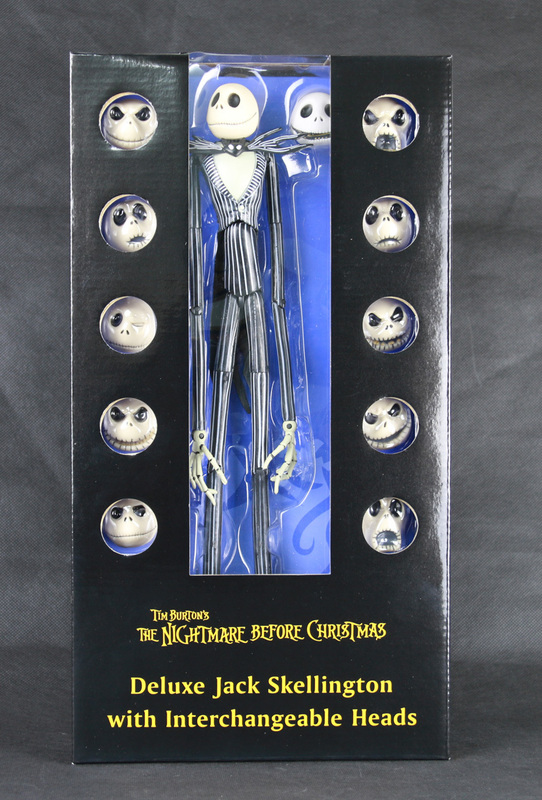 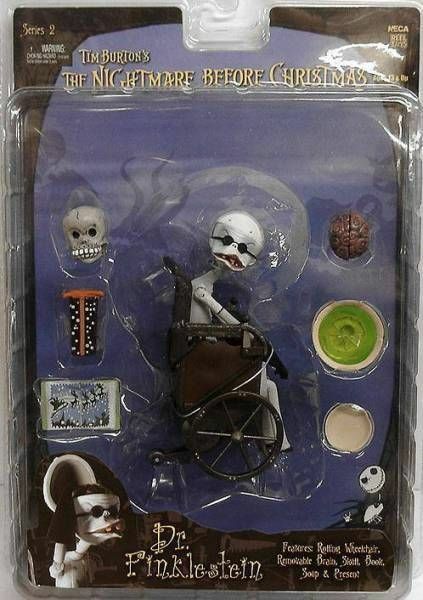 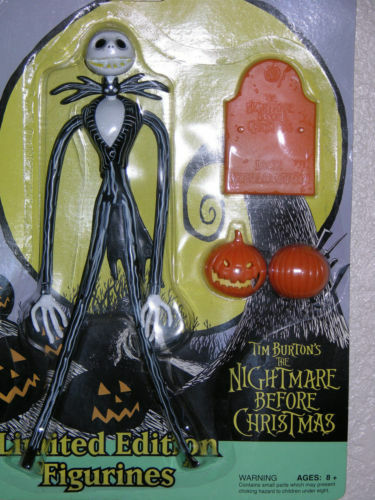 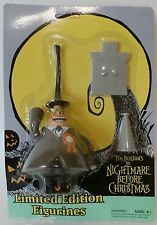 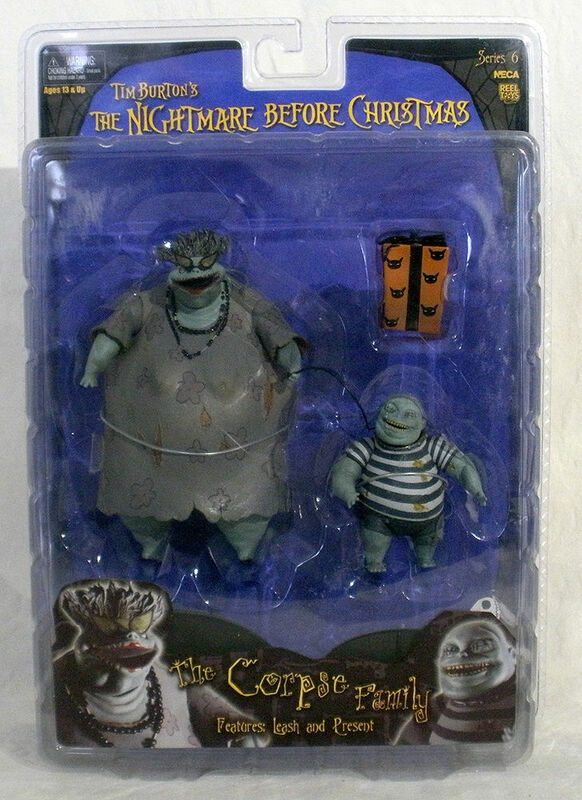 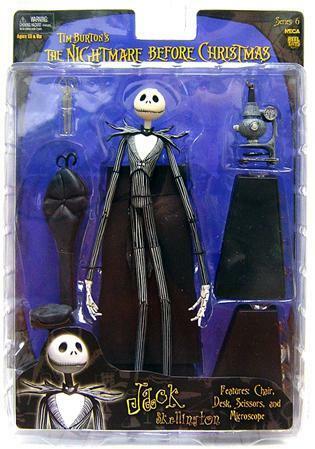 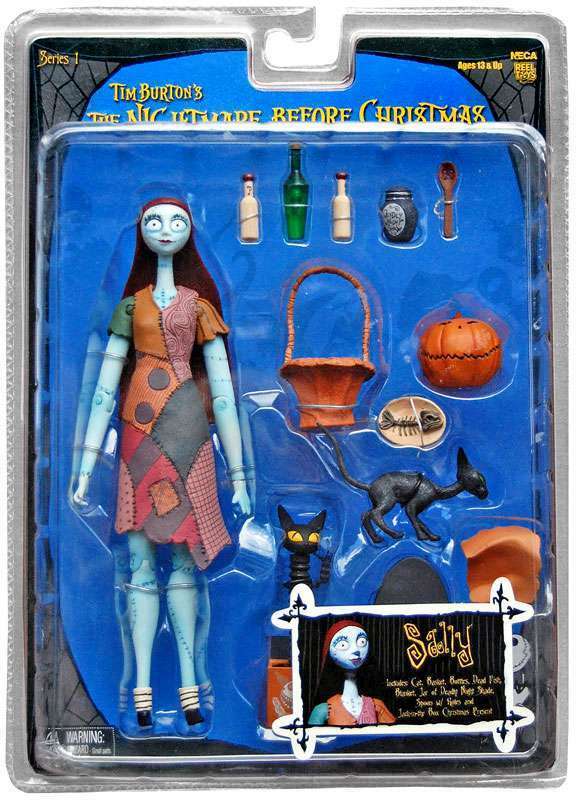 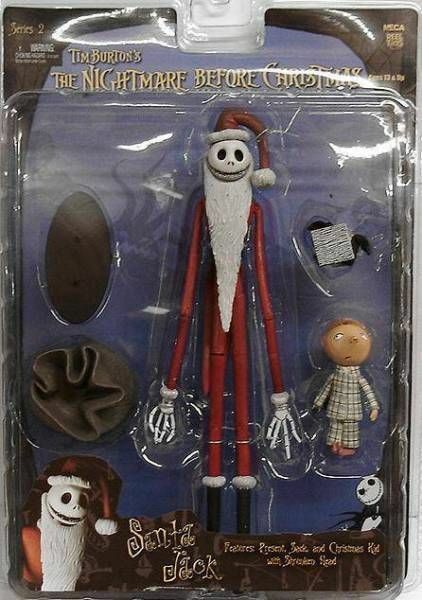 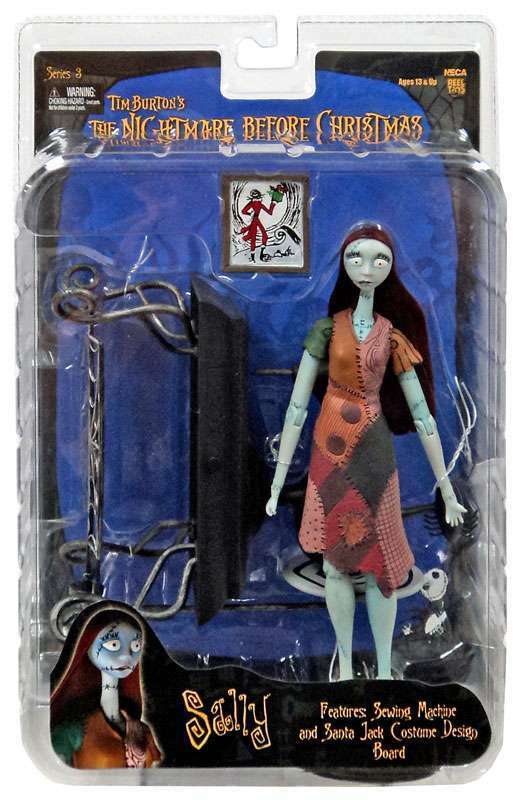 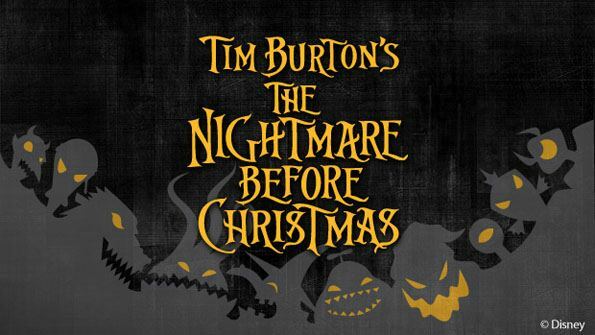 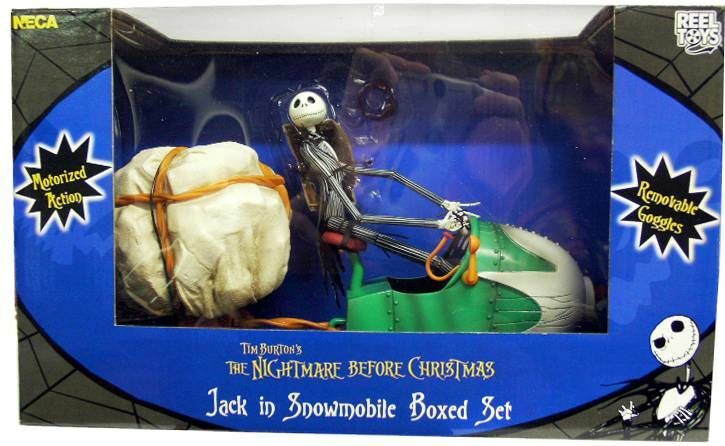 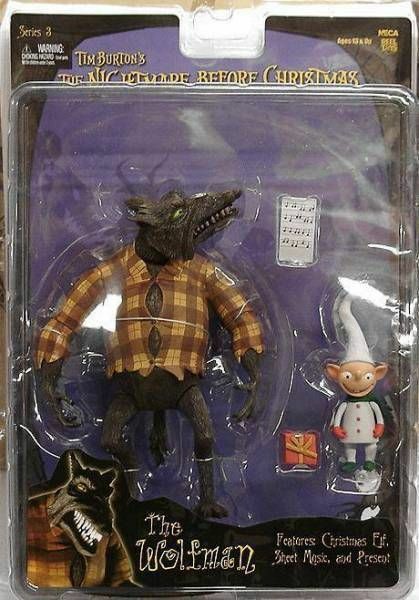 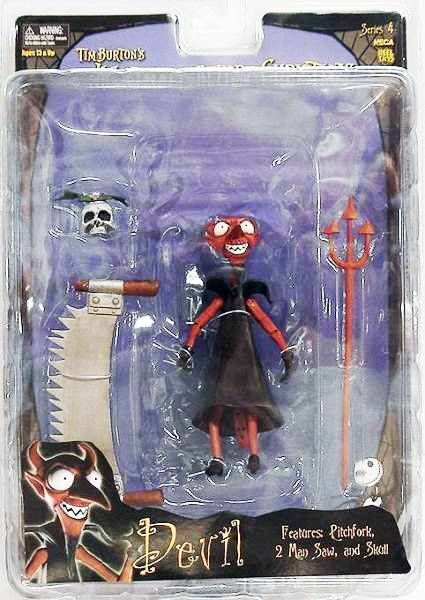 Several Nightmare Before Christmas multipack/box sets were produced along with the initial line of figures. 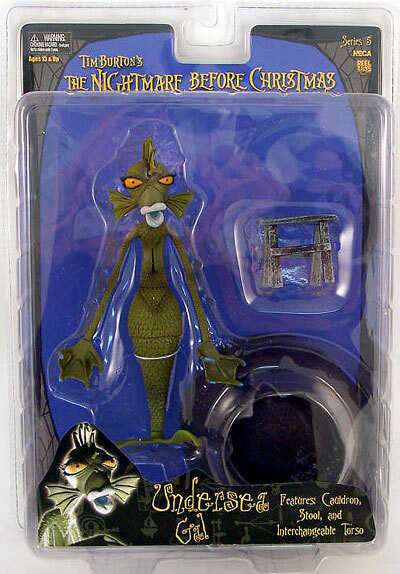 Many of the figures were reproductions of the original Hasbro line, though some were altered in sculpt, or came with new backgrounds and/or accessories. 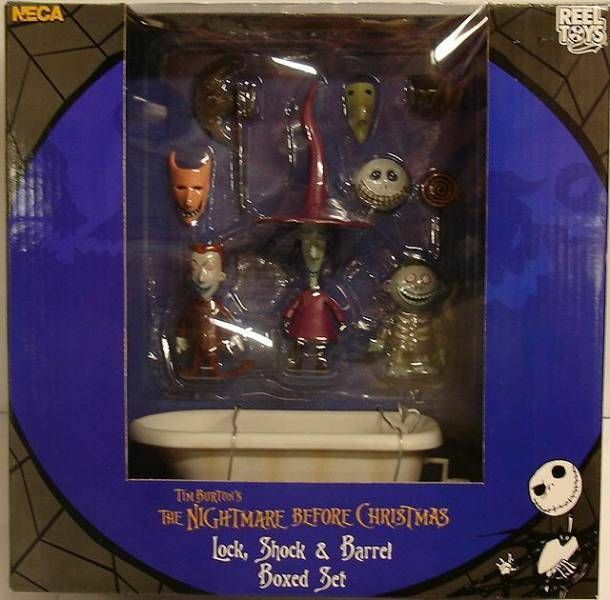 There were also a handful of new pieces, such as the Lock, Shock, and Barrel three pack, and Oogie Bookie with Jack two pack. 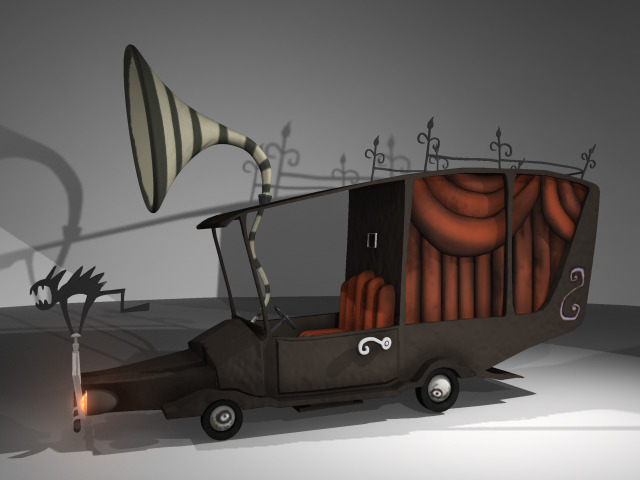 Two vehicles were also produced for the line. 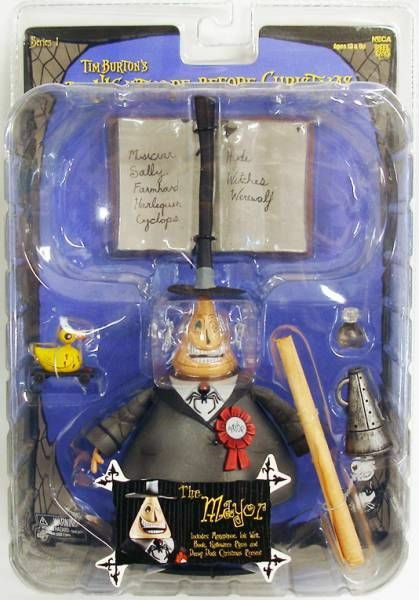 The Mayor's Car, which was limited to only 1500 pieces also happens to be the rarest piece in the entire line. 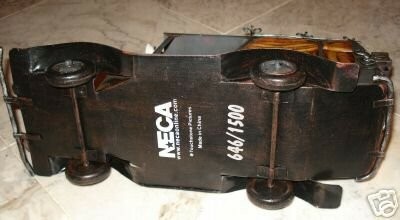 It came in a regular beige box with no markings of any kind on it. 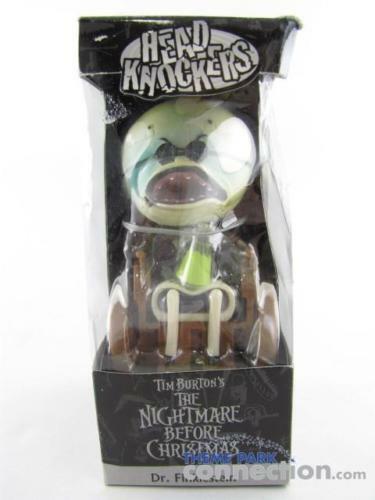 Although these are difficult to come by, they are still fairly reasonably priced between on eBay with prices ranging from approx $10-$20. 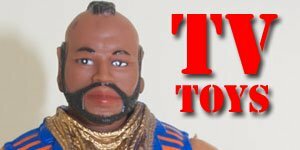 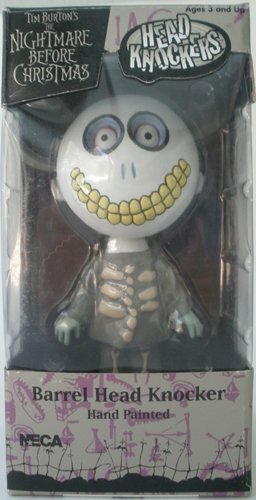 However, there are a select few figures which can fetch as much as fifty dollars each, such as the Trading Card Head Knocker Jack that was only available 1:4 cases, also the multi-packs have become incredibly difficult to track down, with prices varying incredibly. 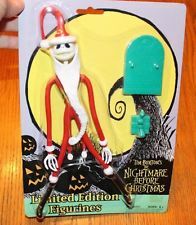 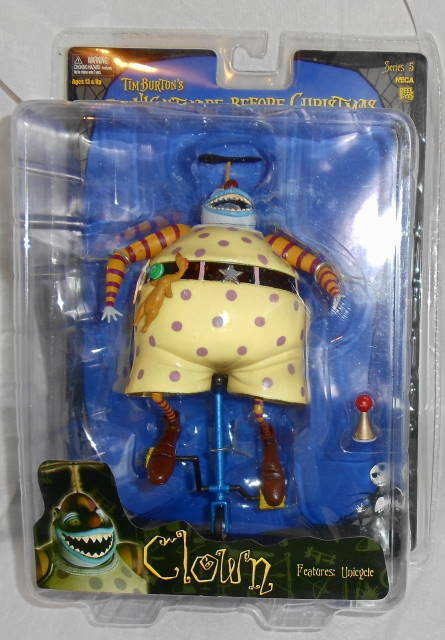 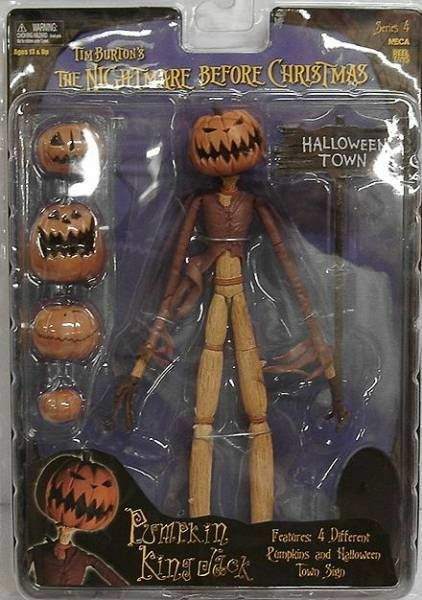 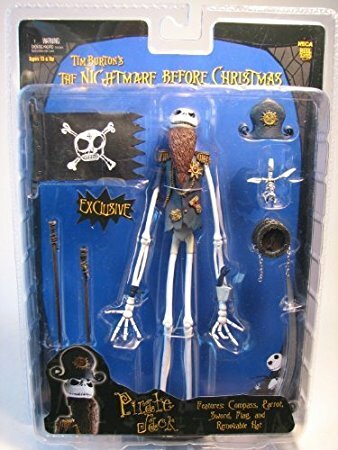 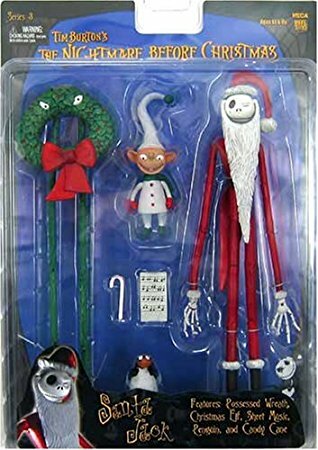 In 2002 NECA released a series of A Nightmare Before Christmas Action Figures that were identical to the 1993 Hasbro figures with new backing cards. 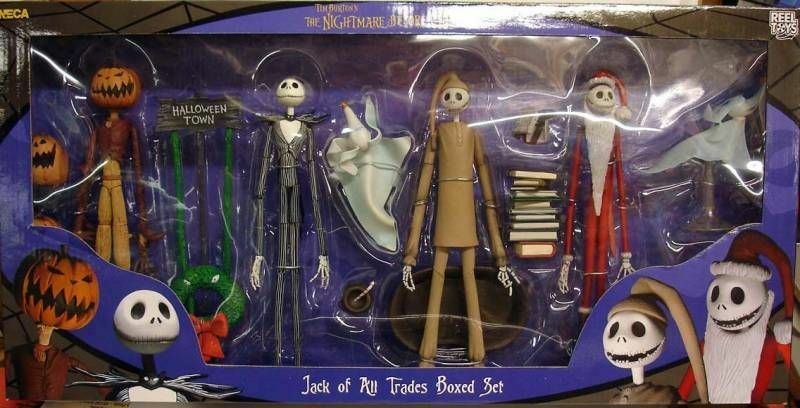 However a parallel Retro Limited Edition set was also released at the same time. 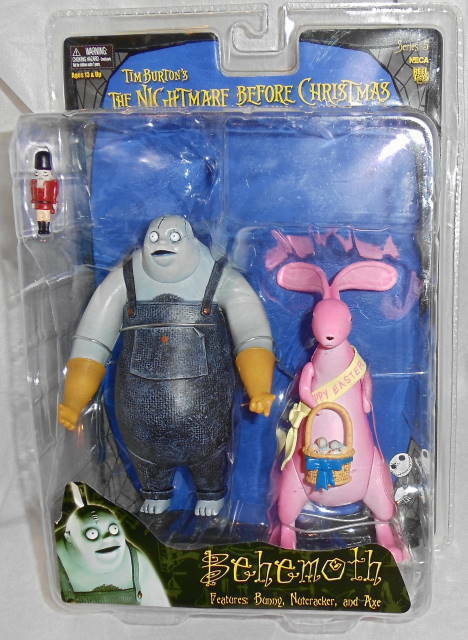 These figures were produced on identical backing cards to the original Hasbro figures, except for "Limited Edition Figure" being printed under the bubble holding the figure. 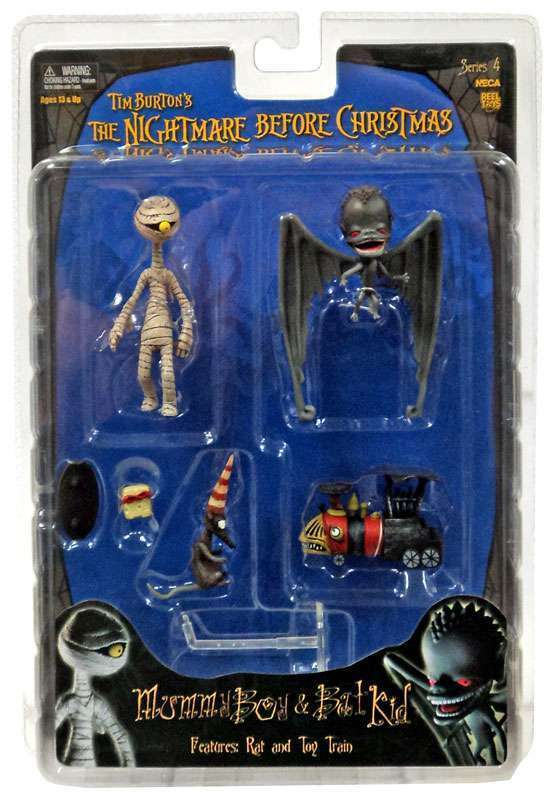 These variant retro-style packages made up less than 10% of the entire production run and were inserted at a ratio of 1 or 2 per 18 figure case assortment making them extremely difficult to find. 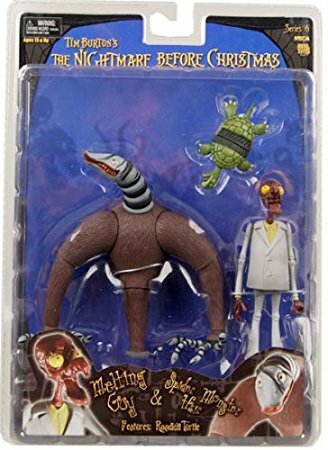 Add to this the fact that the Hasbro figures were highly sought after and disappeared off toy shops very quickly when released, these have also become highly collectible. 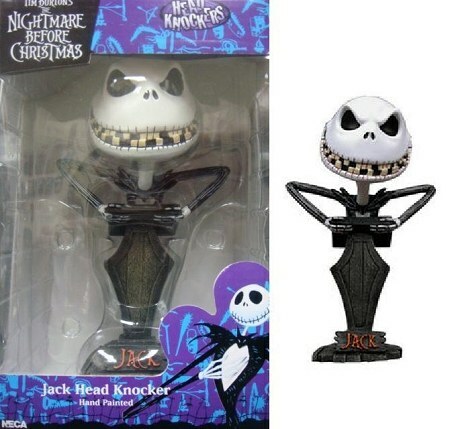 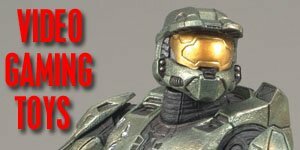 In 2002 NECA released a series of 7-inch resin head knockers. 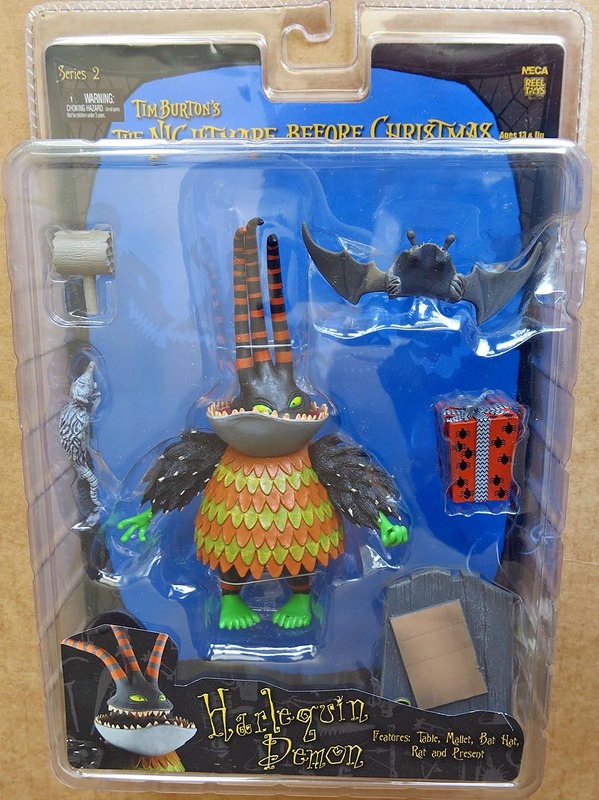 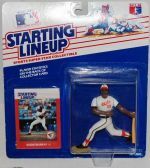 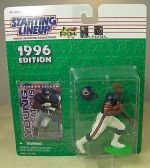 These were very popular with collectors and sell on eBay now for between $30-$50. 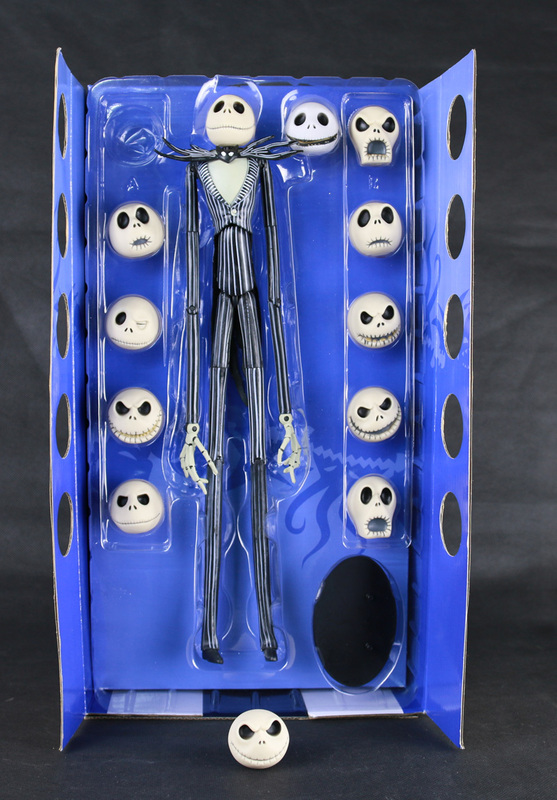 The Exclusive Skelleton Jack figure that came with 1:4 cases of the trading cards goes for a lot more though.